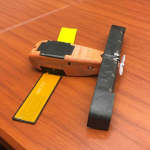 William Roper, Defense Department‘s director of the strategic capabilities office, said the department currently develops a swarming micro-drone technology that will be used to support the military’s swarm mission capacity, National Defense reported Thursday. Jon Harper writes the Perdix propeller-driven drones will be equipped with foldable wings built through 3-D printed parts and will be used as a surveillance asset to be matured and transitioned to the U.S. Air Force by the end of fiscal year 2017. “There is nothing like this right now in inventory — a tactical aircraft that can dispense a little expendable, fly-low surveillance asset,” noted Roper. The report noted that more than 500 test flights have been conducted on the Perdix technology and Roper’s office currently develops the seventh-generation version of the technology.